Georgia Chess knows the many benefits that an interest in chess brings to the developing mind. 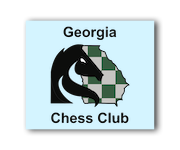 Georgia Chess partners with many public, private and home schools to help facilitate school lessons and clubs. If you are interested in starting a school chess program at your school contact us! Check out our upcoming School Chess Enrichment Programs. Let us know if you would like for us to offer a Chess Enrichment Program at your child's school by emailing us using the form below.